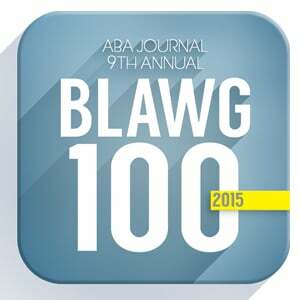 The ABA is gathering information for its yearly round-up of the best legal blogs. This is the first year that grandjurytarget.com is eligible, and I’d love to be included on the list. It may not be the road to great riches, but my kids would get a kick out of seeing my name in print. If you are so inclined (and, perhaps, very bored at work today), please feel free to nominate my blog using this form. It will only take a minute or two since you are limited to 500 words.